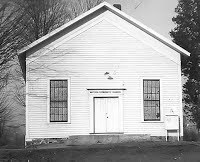 Watson Bible Church has been worshipping our awesome God since the early 1900’s. The church originated at the northeast corner of Watson Corners. In 1950, the church was moved to the lot east of the current building. Watson’s services eventually grew large enough that the members decided to build a larger church. Property was purchased on the southwest corner of 16th Street and M-222. A ground-breaking service was held in August 1989. The Lord blessed the work and we were able to move into the building on November 24th, 1991. The mortgage was burned at a special service in September 1995. At that same time, September of 1995, Pastor Jim Collison became the senior pastor at Watson. Watson has continued to grow through the years. In February 2014, our current pastor, Tim Farley, was called to be our shepherd. We are thankful for all that God has done for this church, and we expect great things in the future as well as we continue to serve Him. Praise the Lord! We believe that the Bible, as found in the 66 books of the Old and New Testaments, is God’s authoritative and inerrant word. We believe in the Triune God, eternally existing in three persons – Father, Son and Holy Spirit. We believe that Jesus Christ is the eternal Son of God and the second person in the Trinity. That he was conceived by the Holy Spirit, born of a virgin, lived a sinless life, died as a sacrifice for sins, and rose from the dead in victory over sin and death. We believe that all people are sinful and separated from God by their sin. We believe that we are all helpless to save ourselves and must place our faith in the sacrifice and resurrection of Jesus Christ as the only means of our salvation. When we acknowledge our sins and place our trust in Christ, our sins are forgiven and we are reconciled to God. We believe that God has promised eternal life with Him for all who believe. We believe that those who reject Jesus Christ as the only means of salvation, will be condemned as a result of their sins for all of eternity. The above is a summary of our Statement of Doctrine. A complete statement is available on request. Contact the church office for more information.